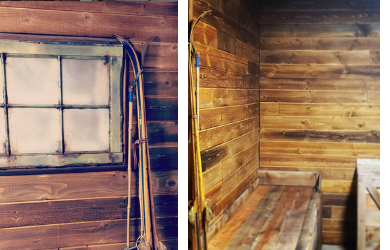 $19.00 for $40.00 - One Hour Escape Room plus One Laser Maze Game at Back Alley Escape Room!! Temecula's Newest Escape Room and Laser Maze is now open at Vail Headquarters! Try them both out with this deal! Back Alley Escape provides the ultimate in Immersive Entertainment! 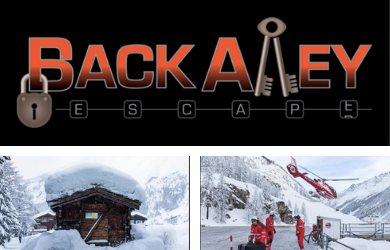 For the escape room- you arrive at a Swiss Mountain hut and just make it inside when an avalanche hits! You have an hour of battery backup to figure out how to get help and be rescued! This room will challenge your thinking and provide a ton of fun! Great for a date night or group outing, this escape room is ideal for parties of 2 to 5! 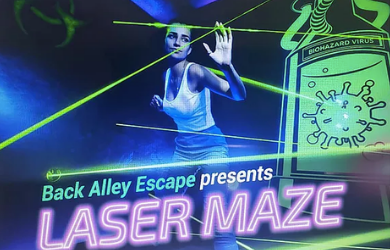 Navigate through and around the beams at Back Alley Escape's Laser Maze! Choose your game and navigate the beams. Various Levels in the Laser Maze will keep you challenged. See if you can beat your friend's times! Don't miss this opportunity to get out and have some fun! Please call for reservations, limit 1 per person per visit. Each voucher is valid for one person only. Refunds are available on all unused vouchers within 14 days of purchase date. No refunds or credits are available after 14 days. If for some unforeseen reason a business closes while before your voucher expires a credit for your purchase price will be issued into your account to use on future deals. Expired vouchers are not available for credits or refunds under any circumstance. After expiration date voucher can be redeemed for the purchase price only. No refunds, exchanges or credits on special events.